Donald Baechler emerged on the international art scene in the 1980s. He has created a vocabulary for his art consisting of the most simple gestures and shapes, inspired in a large part by the art of children. Fascinated by art created by the non-artist, Baechler imitates these naïve forms with a critical edge. 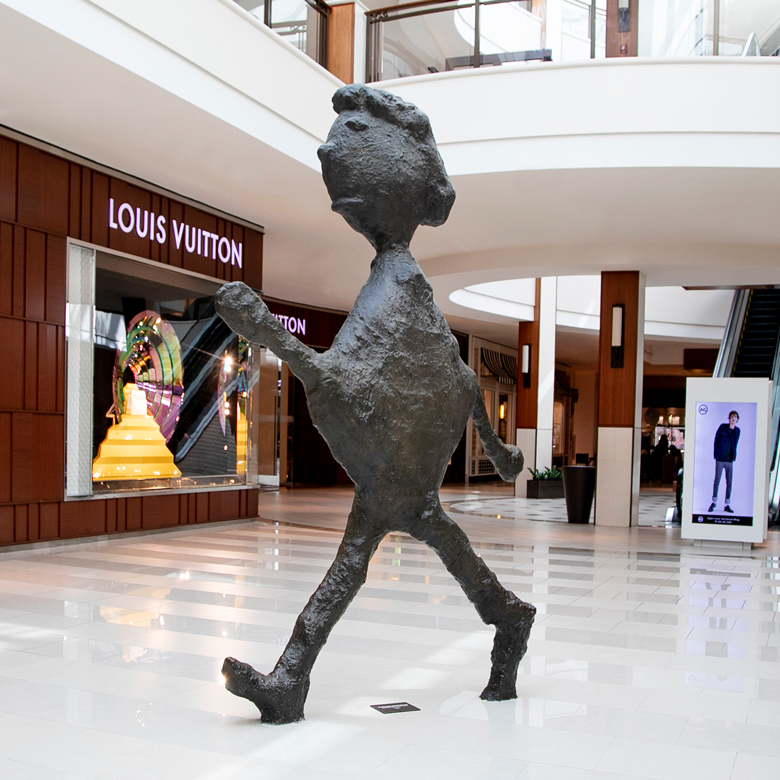 In his Walking Figure, Baechler presents the image of a young woman striding forward as if caught in mid-step, the silence of her expression commands the space. Baechler’s work is included in the permanent collections of such prestigious museums as the Whitney Museum of American Art and Museum of Modern Art, and Guggenheim Museum, in New York and Centre George Pompidou in Paris.